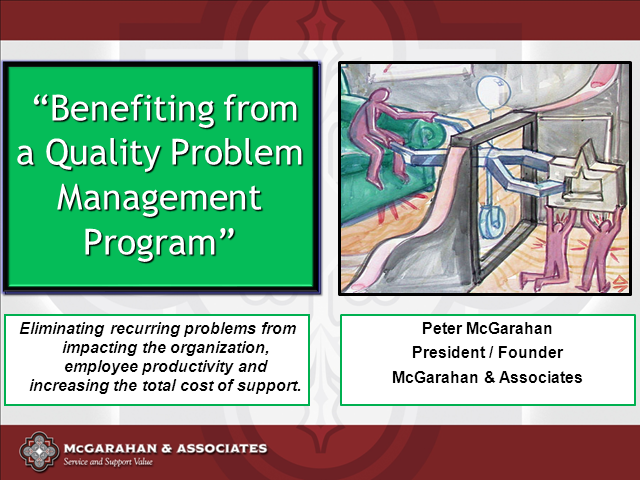 Problem Management can have immediate benefits throughout the service and support organization, yet many organizations still struggle with creating / maintaining an effective Problem Management process and group. 3. Integrating Problem management to execute the recommendation / long-term solution.